This online management solution is developed for small and mid level companies . We in our company already using it from last few months and enhancing the product as per needs .Currently we have below list of features available in this product. - Add/Edit Projects done by company. - System reminds you right before their anniversary or birthday to concerned person. - Phone number and Email security. 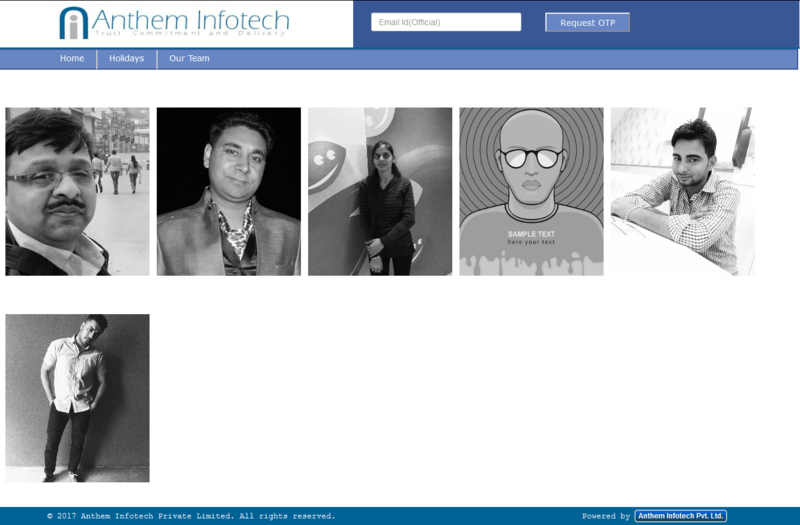 - Database of Employees , Clients , Projects, Companies can be reused . Facility to produce data to the company main website for Vacancy Information, Project Portfolio , Client List etc. - Documents can be uploaded to document library . These documents can be downloaded and can be made available to employees in their portal area. 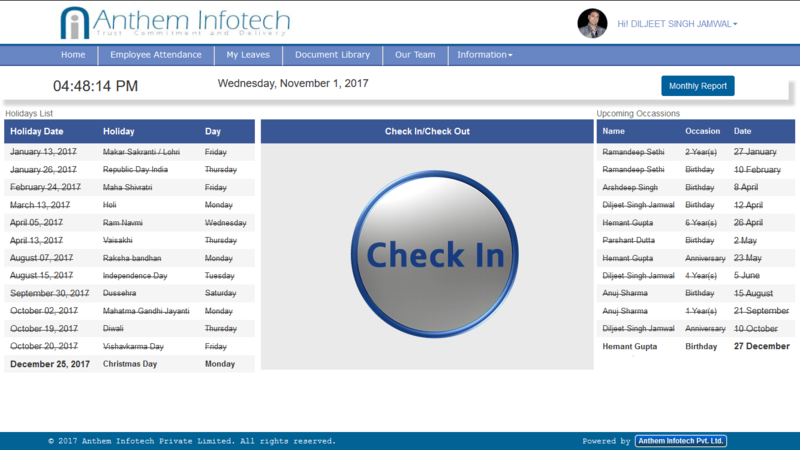 8) Employee Checkin - Checkout based Attendance sheet and work our report. 9) Automatic daily email work report to specific managesr or CEO. 10) Automatic End of the Month email attendance sheet to concerned persons. 11) Daily work status email of individual employee along with status to concerned managers. 12) Send Bulk email to individual Employees or Clients. 1) Register with original information. 2) Login facility with OTP in official email. 4) Birthday, Anniversary, Year Completion of employees on wall. 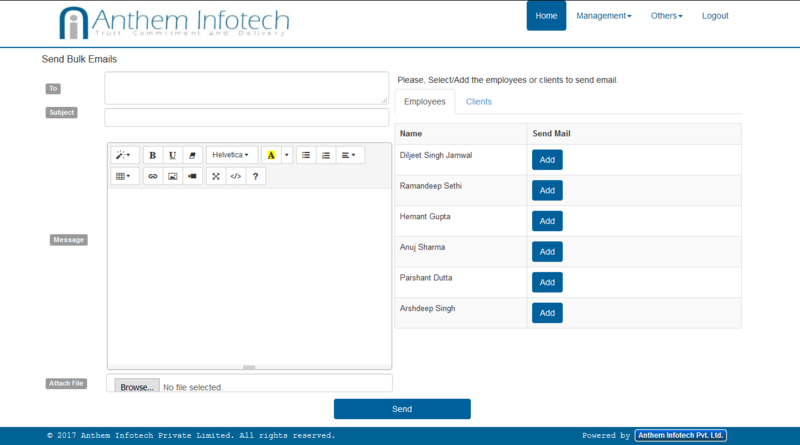 6) Automatic Email notification to respective employee on Birthday, Anniversary and Year/s completion in the organization. 7) Checkin - Checkout feature with End of the status report. 8) Apply and View Leave status. 3) Check out for the day along with work status. 4) Sends automatic email to assigned manager. 5) Can checkin or checkout only in office premises with location information.